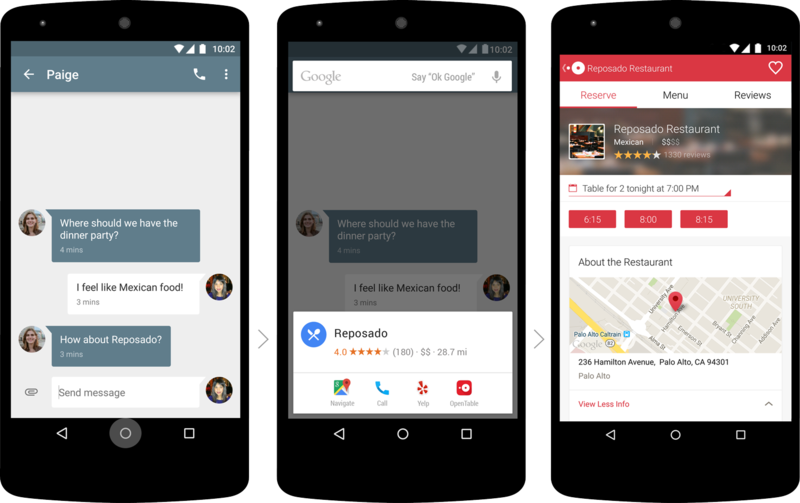 Part of Android M is a major enhancement to Google Now, Google’s smart-as-hell automated assistant service, called Now on Tap. 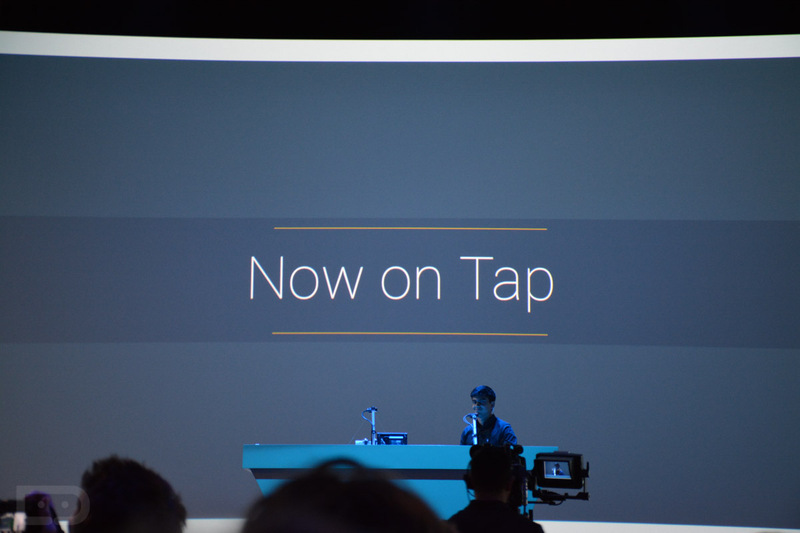 With Google Now on Tap, the new piece to the Now puzzle, you can get Google Now help from almost anywhere with a simple long press of your phone’s home button, allowing you to multi-task from any screen without having to leave what you are currently doing. So what kinds of things are we talking about? Get ready, because this stuff is insanely cool. Say someone emails you, asking if you want to see Tomorrowland later this evening, but you want to instantly find out more information about the Clooney flick. With a long press of home, you would get a pop-up at the bottom of the screen that includes all sorts of info about the movie (ratings, related apps, link to trailer, etc.). 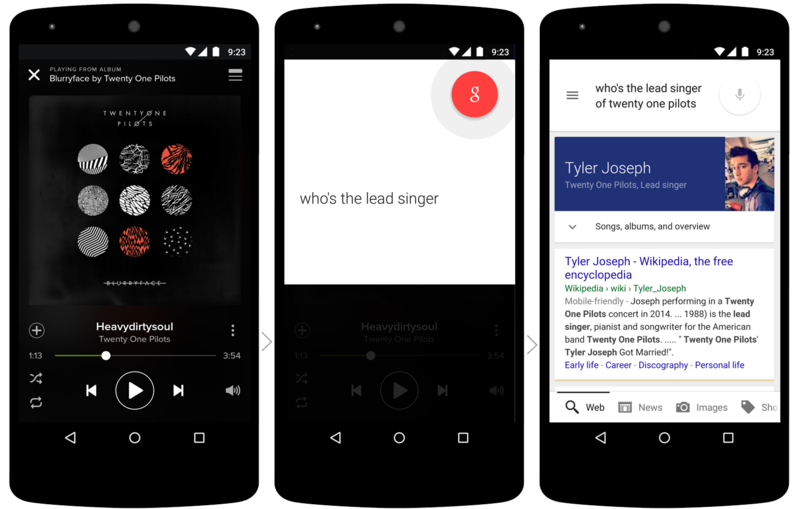 Google Now on Tap could also give you dinner information about a restaurant you were talking about in a messaging app or tell you the names of band members that are currently playing in your music app, all without ever leaving your current screen. 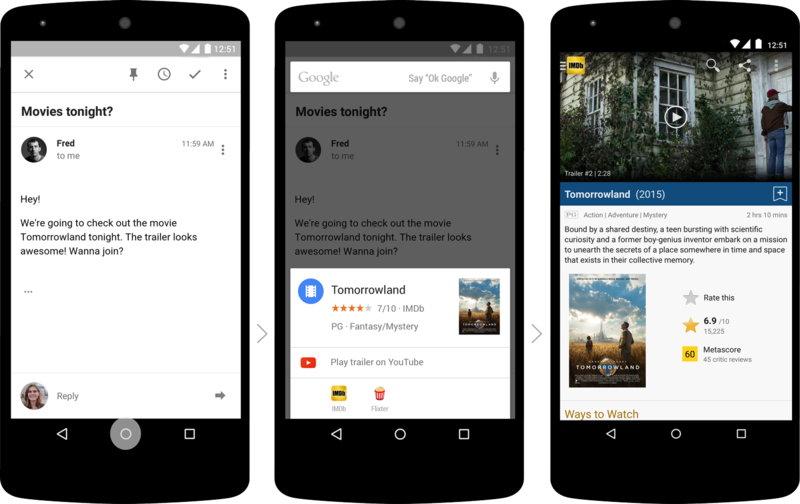 This new functionality will arrive later with Android M.